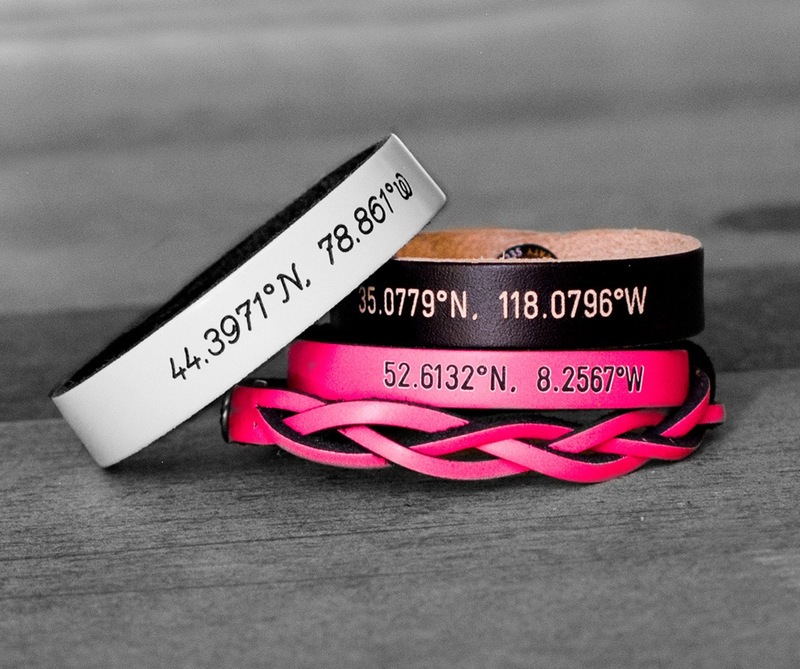 Use our step by step bracelet creator to help select the perfect custom bracelet for you. Whether you’re looking for a personalized gift for someone or a little personalized token of your own, we have options to fit all. 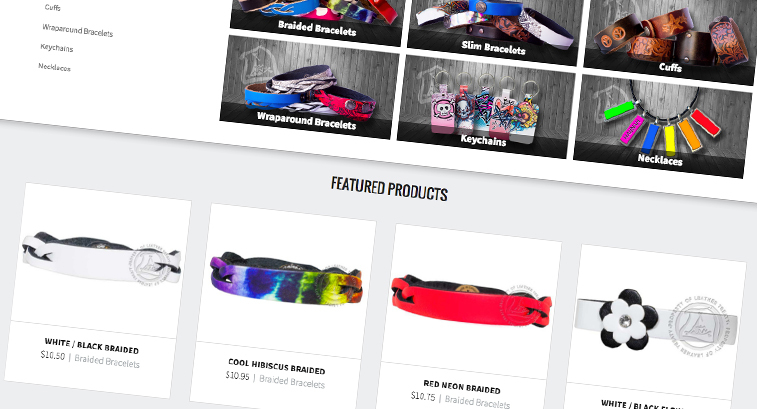 You’ll be able to choose from bracelets styles such as our popular braided bracelets and personalized wristbands. 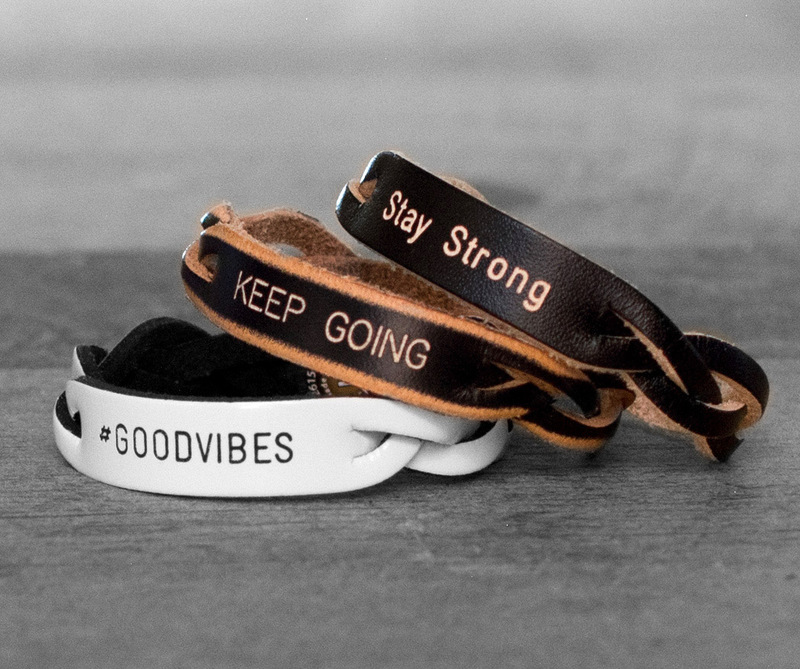 All of our leather bracelets are crafted from high-quality genuine leather and are engravable for free! 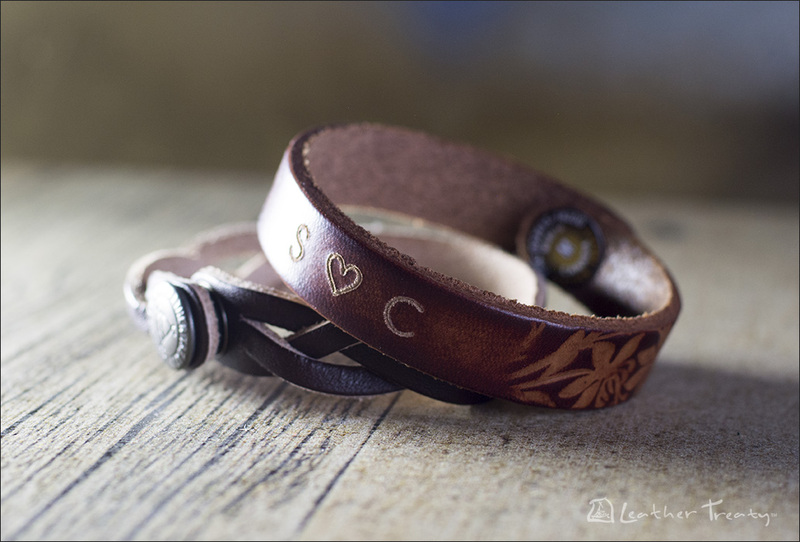 Get creative with your engraved leather bracelets. Dates, phrases, inspirational messages... possibilities are endless when it comes to choosing your personalization message. Personalize any of our id bracelets with names of your loved ones. 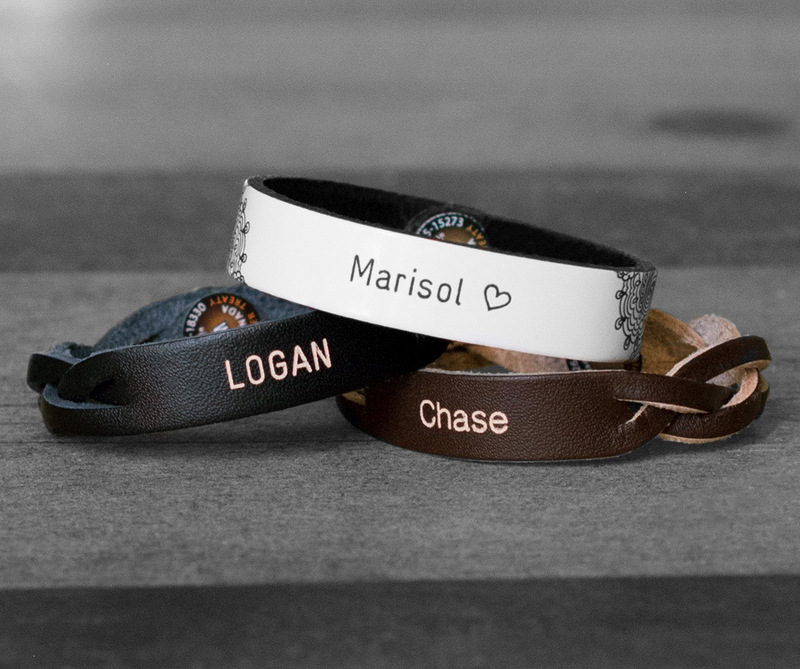 Personalized name bracelets make a great gift for all ages. There is no better way to remember the memories tied to that special place than to wear a daily reminder. 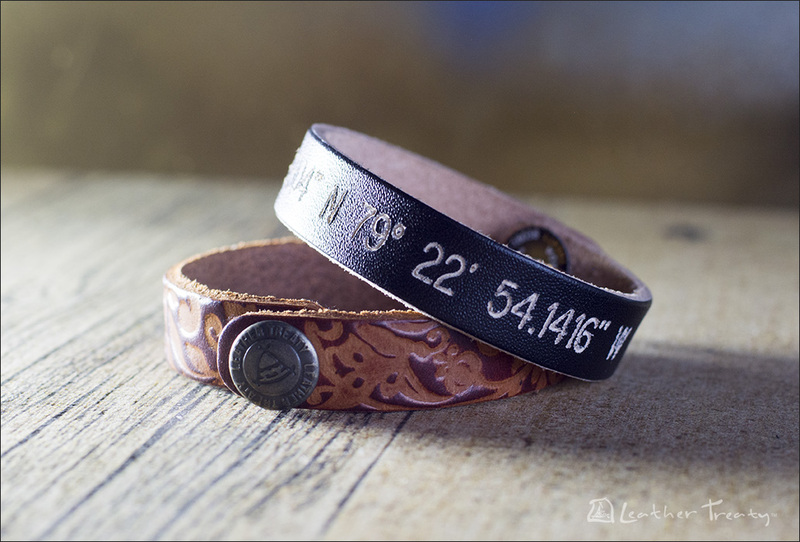 Get your latitude and longitude engraved on one of our coordinate bracelets. 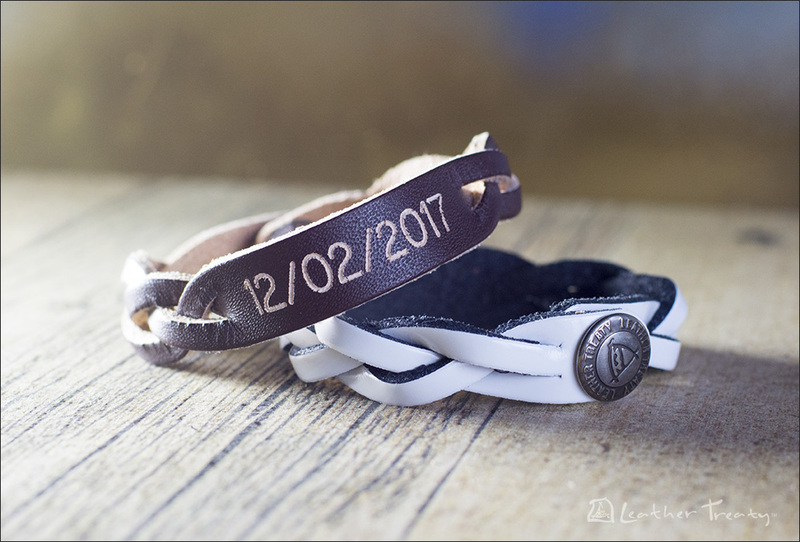 At Leather Treaty we’ve been selling personalized leather bracelets for over 30 years, we take pride in the quality of our products! Follow us on instagram at @leathertreaty for special promotions and giveaways.